The following article about Mind Maps® (Mind Map” is a trademark of the Buzan Organization–www.buzan.com) was written by Paul Smithson, the creator of XSitePro, a very popular website development tool, especially in Europe. Paul has created and provided many tools and resources to help all of those who desire to be online. He recently started a blog, http://paulsmithson.com/ which I believe will be continuosly filled with great content about many useful topics. I too use mind mapping tools and recommend that any one interested in improving their productivity make use of them. Paul uses and recommends MindMeister. I have used Free Mind, xMind, and MindMeisters among others. A site that I also recommend for learning more about mind maps and for increasing your Productivity is Mind Tools ; they have a very good article about mind mapping. For a list of mind mapping tools and more information visit Mind Mapping Software. Enjoy! A re-posted by Paul Smithson. I can’t claim credit for this rather colorful mindmap. It was created by Jinho Jung and is used courtesy of Flickr. I chose it as I think it demonstrates very nicely how memorable a colorful freeform mindmap can be. I absolutely love mind maps. I use them all the time and if you don’t I urge you to give them a try. If I’m writing an article out comes the mind map. If I’m starting a major new project (or even a minor one) out comes the mind map. When I was getting married the first thing I did was get all the planning information into a mind map. I even use them to plan vacations, business trips, house moves, and Christmas present lists. If you’ve never used a mind map you’re in for a real treat, and if you’re starting or running an online business then I can’t sing their praises highly enough. They really can make a huge difference in the success of a project. They’re the perfect tool for making sense of all of those disparate thoughts whirling around inside your brain, and once you get used to using them you’ll find that the ideas just keep flowing and flowing. It is like taking the cork off of a good bottle of champagne. I first started using mind maps back in the 1980s when I was a student. I stumbled across a book by Tony Buzan, and immediately fell in love with the whole idea. I felt mind mapping freed my creativity and allowed me to move from a linear thought pattern (e.g. lists) to a more holistic thinking approach that didn’t box me in. In those early days of mind mapping the only way you could do it was with pen and paper. There were no computer programs to help with the flow, and as for online mind mapping tools, well this was the 1980s so the world wide web was probably just a twinkle in Tim Berners-Lee mind at the time. Since the 1980s I’ve used a wide variety of different mind mapping tools ranging from Windows and Mac software through to online mapping tools. I even have a whole wall in my office that is covered from floor to ceiling with a dry-white board type material. This is what I use when I have some serious out-of-the-box thinking to do. It is where I’ve planned every piece of software we’ve ever done, and all the online courses we created first started life as a giant mind map on the floor to ceiling white board. The tool I probably use most these days is Mindmeister. The great news is that this online tool lets you have three mindmaps for free, which for most people will probably be enough. I figured there might be some people reading this who aren’t familiar with mind maps so I’ve been digging around for some useful resources to help you master the art of mind maps. This video provides an excellent introduction to the whole concept of mind mapping. 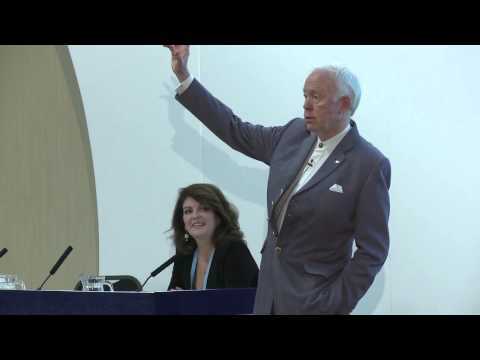 And if you want to learn from the master here is a video of Tony Buzan doing a 55 minute presentation. He has a lovely, mild-mannered style of delivery. The only downside is that the cameraman could have done a better job of showing what’s on the screen. However, the audio recording is top-notch and so it is well worth listening to even if you just have it playing whilst you get on with something else. This video is useful to newcomers to mind mapping, but it also includes some excellent advice for those who are already familiar with this useful skill. If you prefer reading to watching videos here are three well-rated titles. I was trying to find the Tony Buzan title I originally read back in the 1980s, but it seems to be out of print now, although I did find a more recent book by Tony Buzan. As I mentioned above, my current favorite mind mapping tool is Mindmeister. There are three reason I prefer this tool over the many others. It is online, which means I can access my mind maps from any computer. I don’t have worry about backing them up or copying them to a USB stick when I leave the office. I can start a mind map at the office, carry on working on it over coffee in my local coffee shop, and then finish it off when I get back home. It has a lot of useful features such as the ability to collaborate on mind maps with colleagues, go back in time to an earlier version of the mind map, and apps to access the mind maps on iPhones, iPads and Android. It is a nice clean and uncluttered workspace, which I feel is absolutely crucial as it allows your mind to focus on the ideas and concepts you want to map rather than getting bogged down in the usability of the tool itself. NOTE: I am NOT an affiliate of this service so I don’t earn a penny, or get rewarded in any way, if you join. I don’t even know the people. It is just that I like Mindmeister as it means my mindmaps are stored in the cloud and so I can access them from anywhere and on any device. With that account you can create three mind maps, which for most people will be sufficient at any one time. You can always delete the older ones when you need to create a new one and if you do want to upgrade to another plan you can – although as I mentioned above, I’m not an affiliate so I don’t benefit either way (I just mention that for all those cynics who think everything is a sales exercise). One question I often get asked is what can you use mindmaps for when it comes to setting up or running an online business. Here are just a handful of ideas. Produce huge lists of related keywords. Once you get going with mindmaps you’ll find them a wonderful tool for pretty much any occasion when you need to think creatively. I do hope you’ve found this little introduction to mind mapping useful. I am so glad that I discovered mindmapping when I was a student, and I’ve found it to be invaluable in business; both online and offline. Once you get the hang of mindmapping I’m sure you too will find it an indispensable tool. Who knows, you might even end up with a floor to ceiling whiteboard in your office before long. If you’re already a prolific mindmapper do leave a comment about how and why you use mind maps, and if you’ve not used mind mapping before and have a question please do ask below. Posted on November 9, 2013 by Paul Smithson.